If you’re looking for somewhere to take your car to be serviced, MOT tested or repaired, Hazlemere Autos is the ideal choice. Based in High Wycombe, Buckinghamshire, we pride ourselves on carrying out all our work with honesty and a smile. 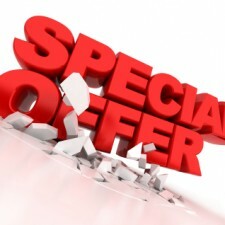 We offer great value for money and run regular special offers to help you save even more. Our highly-skilled and experienced team will do whatever it takes to make sure your vehicle is safe and running properly. We have a VOSA-registered MOT testing station and our specialist staff can work with any make or model of vehicle including cars, small vans, transits and pickups. Customer service is our top priority and we are delighted that people choose us whenever they need an MOT test, service or repair. We have used Hazlemere Autos for several years and would not consider taking our cars anywhere else for servicing. The service is excellent, all work is carried out to a high standard and any extra work identified as being necessary is authorised by us before it starts. We would recommend this garage to anyone. We've always used Hazlemere Autos for MOT's and more recently they have been a great help with our car dilemas. We took our Landrover to a different local garage who kept him for 8 weeks and didn't solve the issues but within a few days Nick & co had him back on the road. Now we wouldn't go anywhere else. Great service! Always use Hazlemere Autos for my MOT's. The service is always reliable and efficient. I would recommend to friends and family. Hazlemere Autos helped me out BIG TIME last year when 3 other garages failed to fix my car, Nick took just half an hour to find the problem and fix. Just wish I had found them years ago. I have since used for servicing and MOT on family car and can highly recommend their services. I have been using Hazlemere Autos for over 20 years now and they are very reliable, efficient and friendly. I just have to pop in and they sort my car problems out – whether it’s replacing a light bulb on the spot or giving the car a full service and MOT. They will even come and collect my car and run it back for me. Couldn’t ask for better service – thanks Nick and Dan! This offer entitles you to 10% off you total bill for ALL work carried out. This applies to all staff and parents of both primary and secondary schools. 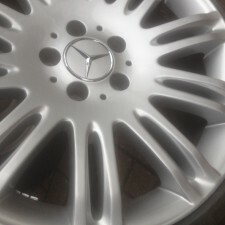 Hazlemere Autos is pleased to announce it’s new wheel refurbishment service. We can restore any type of alloy wheel for all makes and models of cars. Please visit our new page from the top menu to some see examples of Before & After restorations.